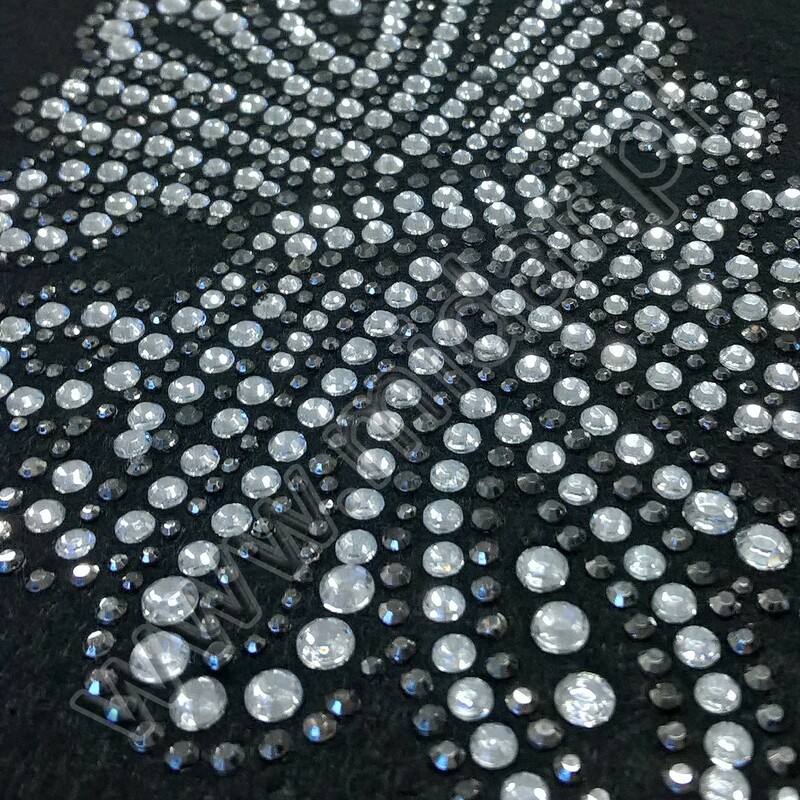 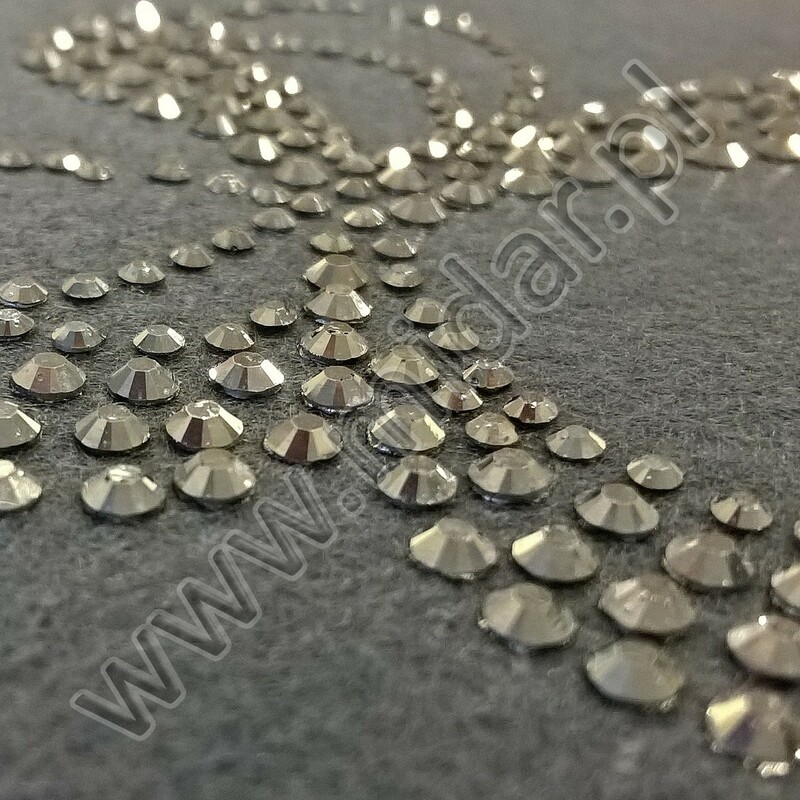 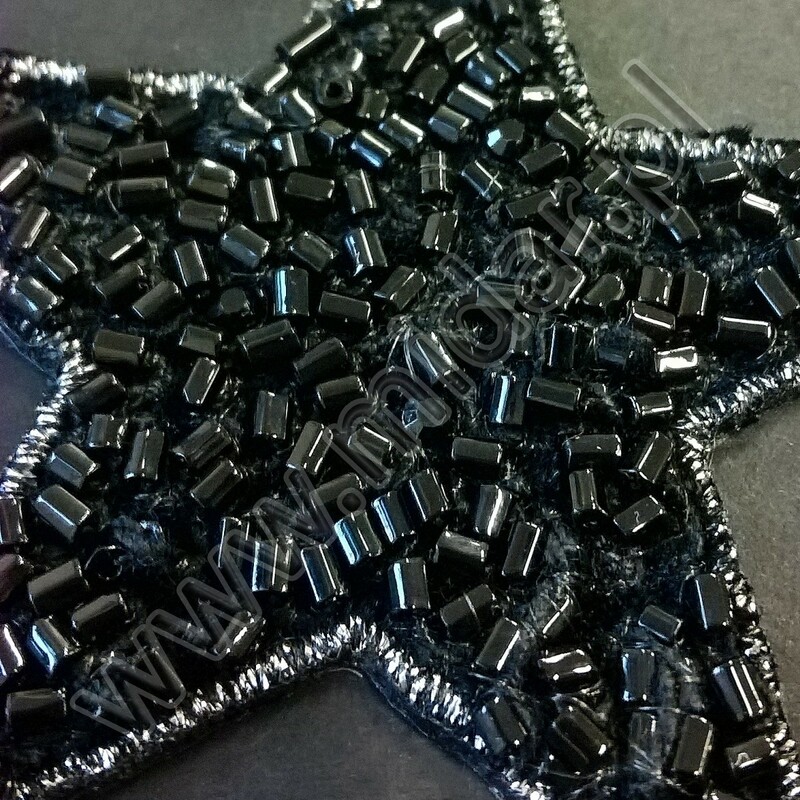 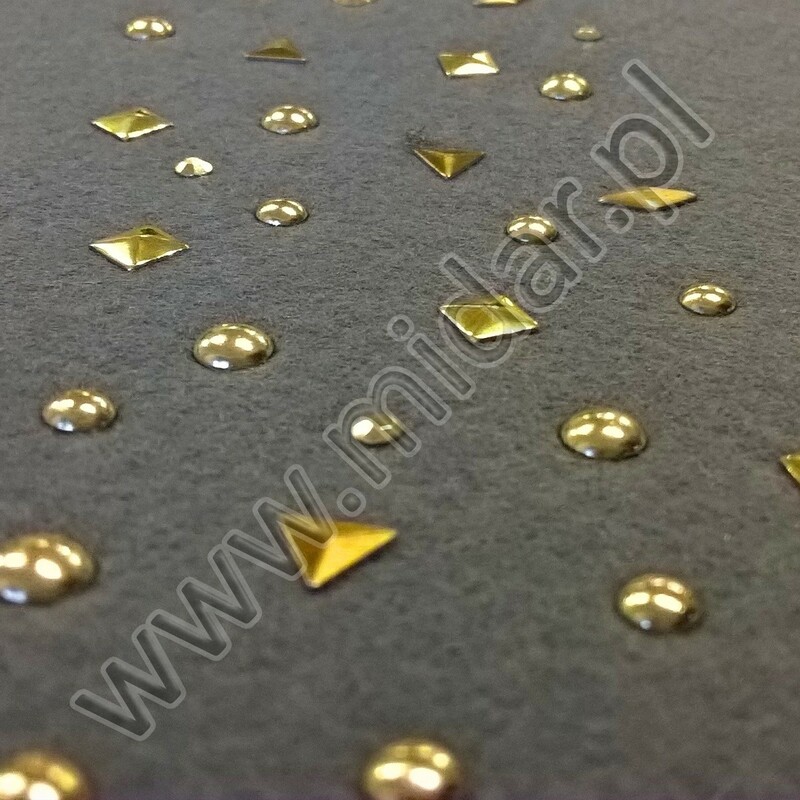 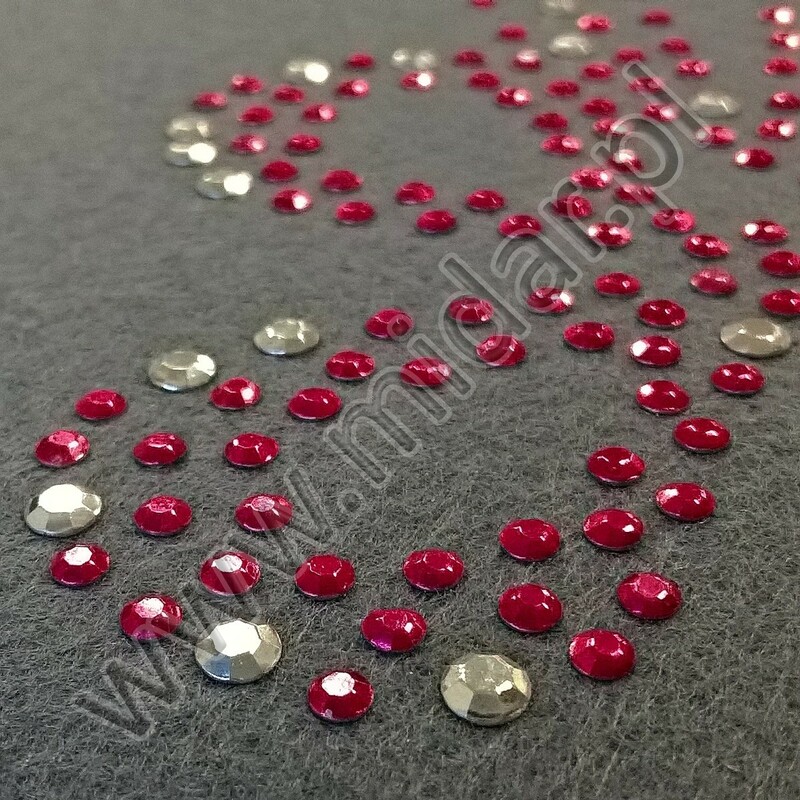 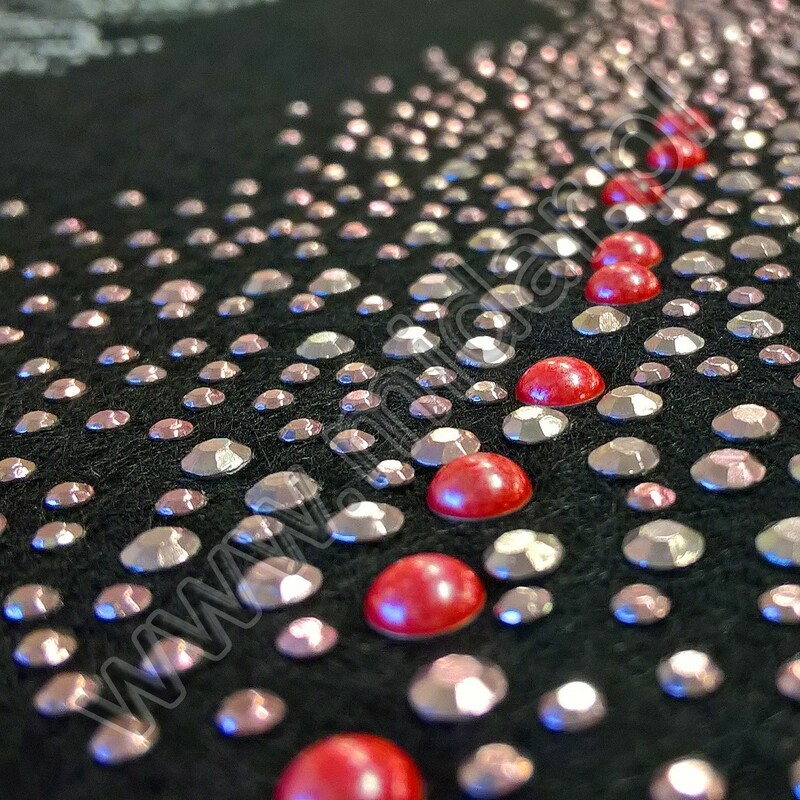 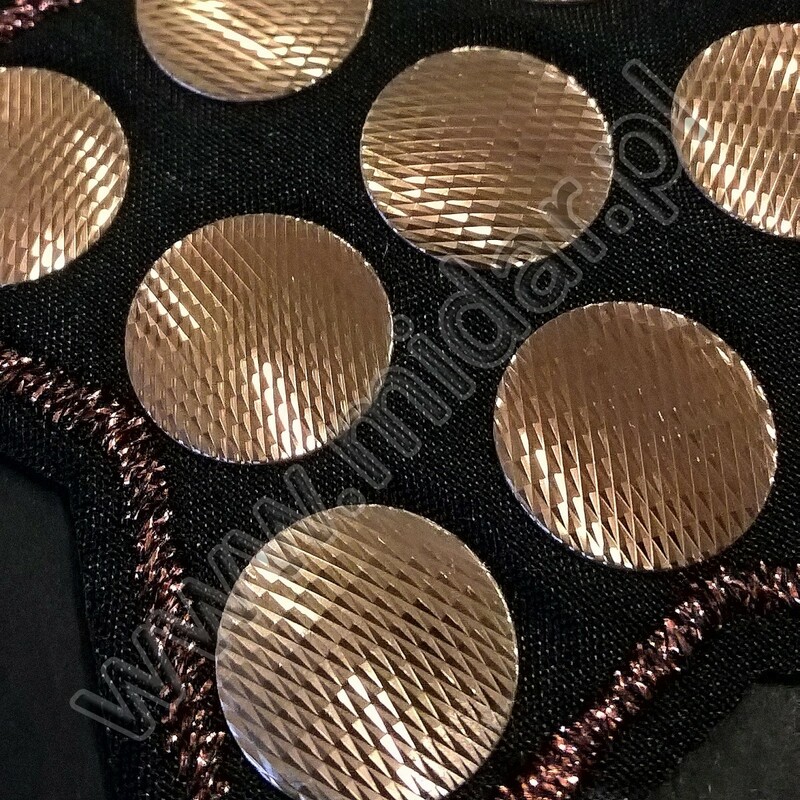 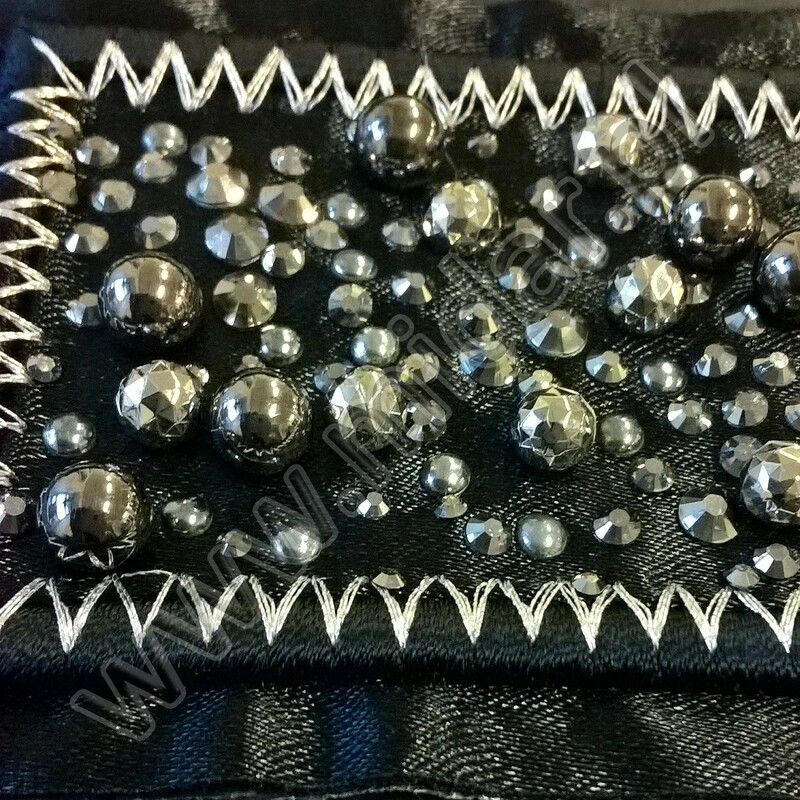 In this department you may order rhinestone, sequin and pearl motifs. 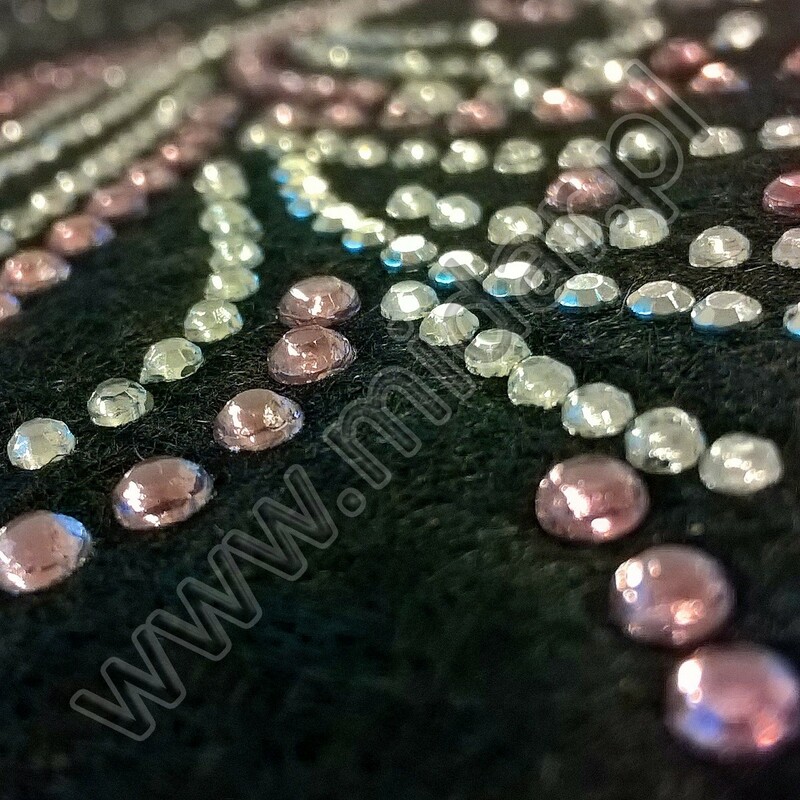 Having few dozen colours and shapes we are able to create every pattern, even most sophisticated. 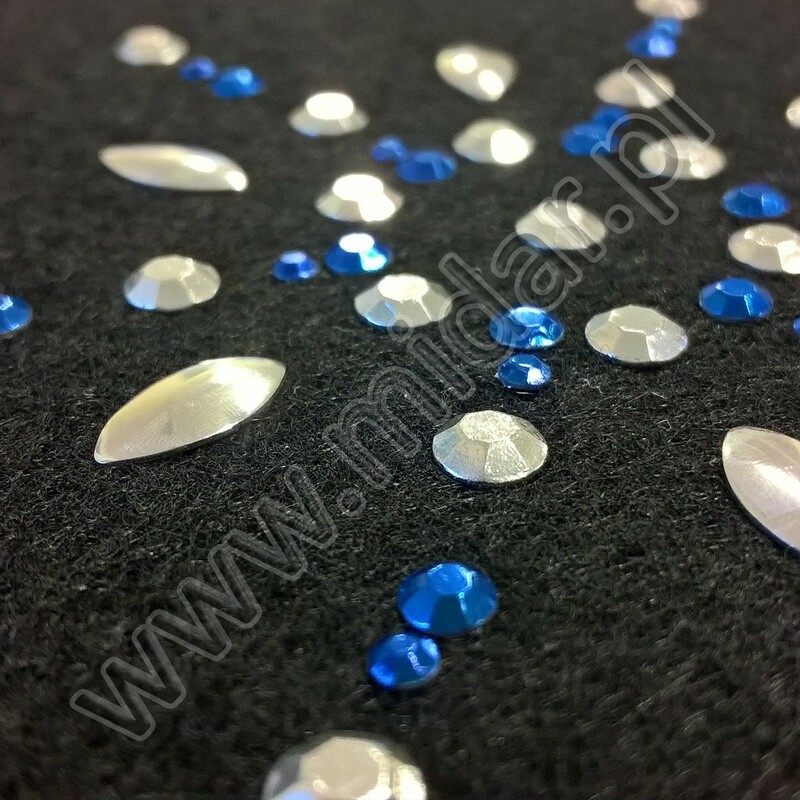 Pressing – quick and easy way of fixing makes it very attractive form to decorate cloths. 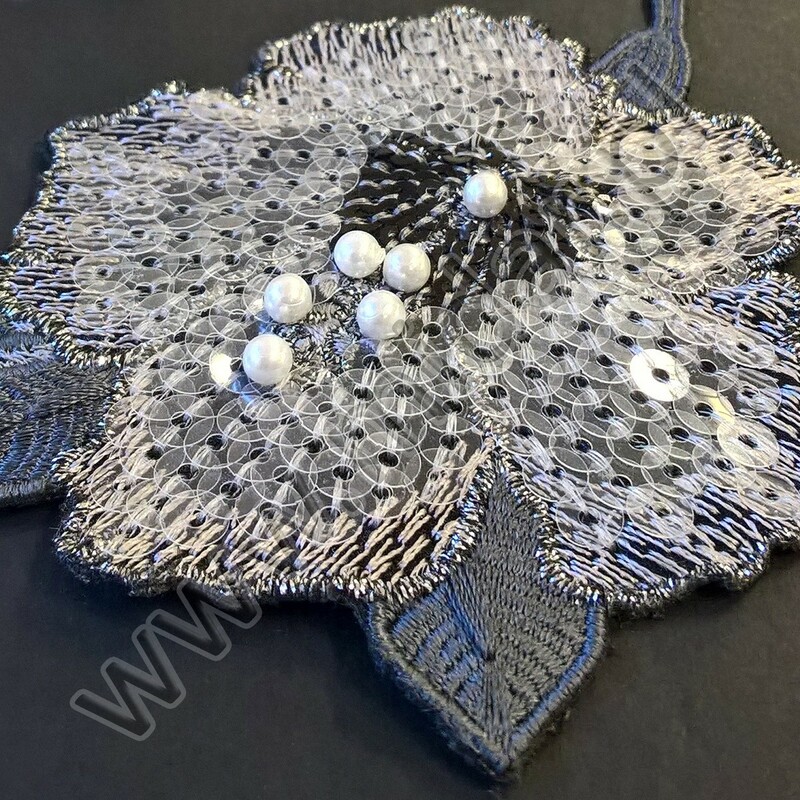 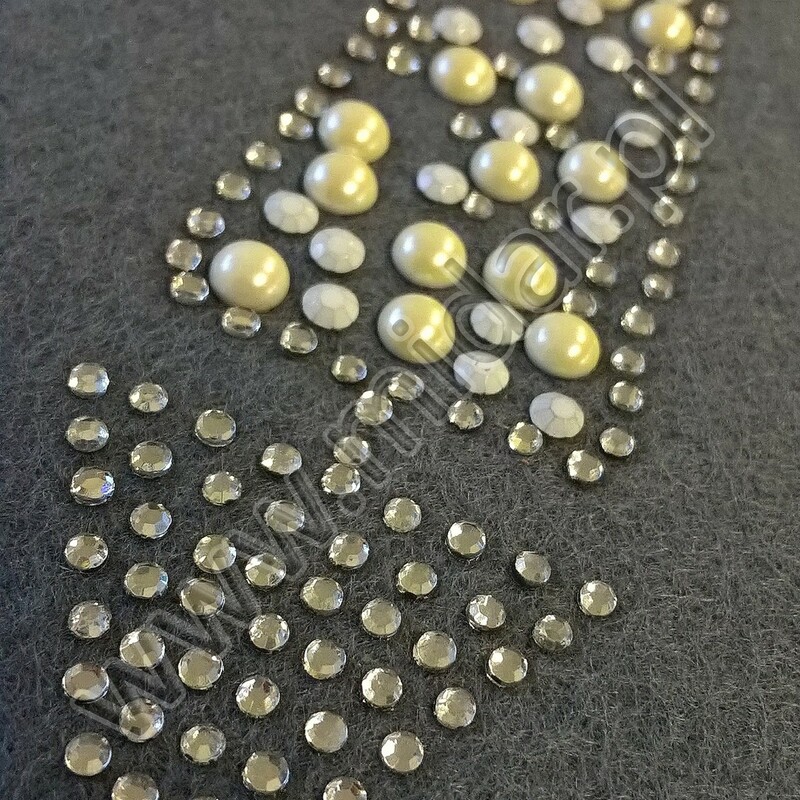 Currently very popular are combinations embroidered or printed motifs with acrylic stones, pearls, beads, rivets. 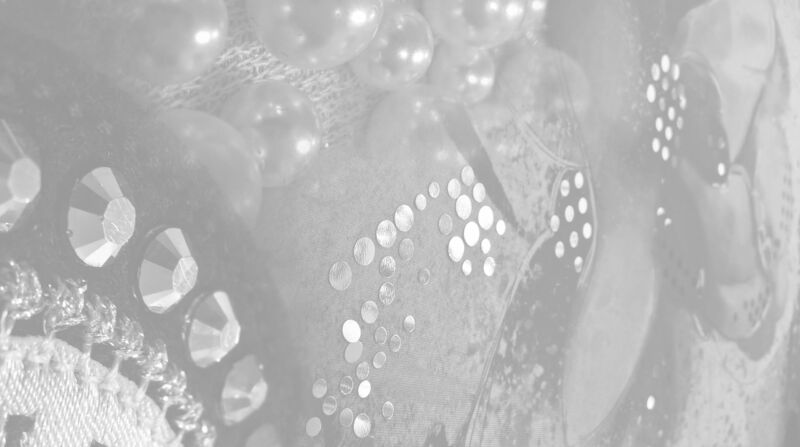 short time limits for completions and competitive prices. 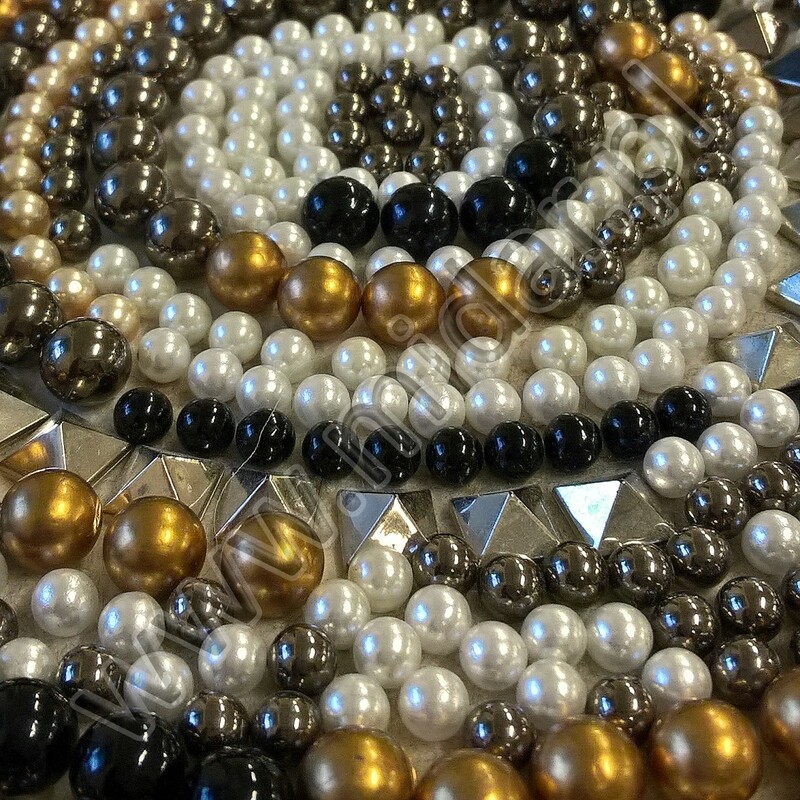 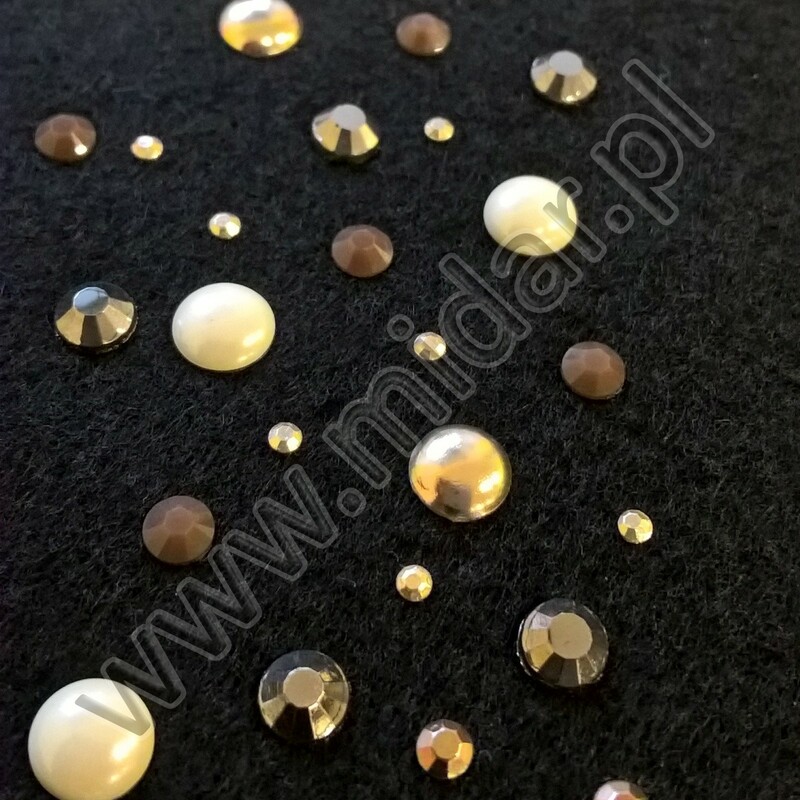 decorative pearls and pins for fixing them in following dimensions: 4, 5, 6, 8, 10 mm.